Barcoding is a fast, effective method of recording inventory in and inventory out. 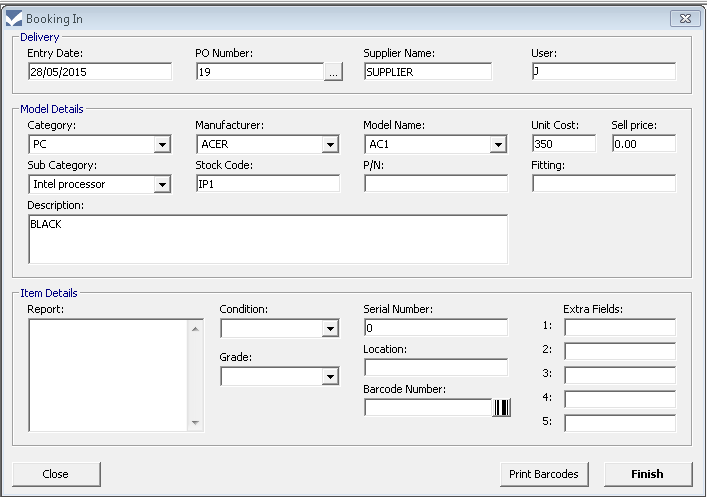 The RightControl system is flexible allowing you to assign existing barcodes to your stock or customise new barcodes to be printed on standard Avery sheet labels in a laser printer. Item despatch and stock takes become quick and error free, and in the event that an inventory item is returned from a customer, a simple scan can supply you with the inventory item’s details, sales and invoice information you require. 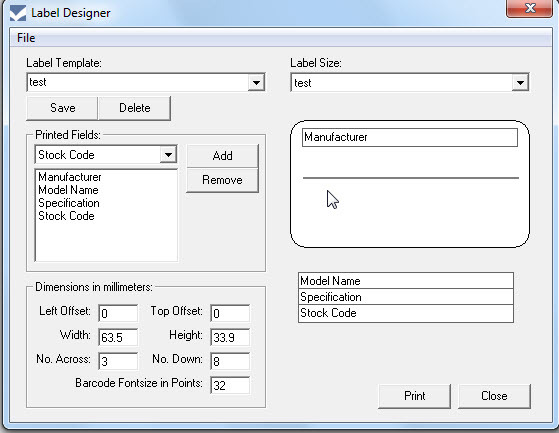 Print specific labels for inventory with the inventory management software Label Designer. Standard templates to suit Avery labels are included or you can create your own. Generate barcodes by clicking the Barcode Number tab on the inventory control system booking in forms. Scan existing barcodes or manually enter with the versatile barcode and inventory tracking features of the inventory control software.